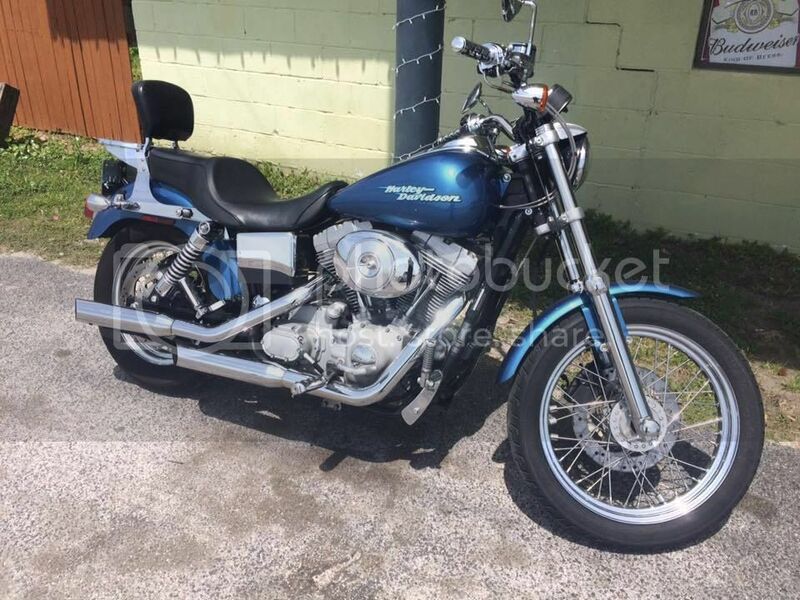 Thread: May be Back ..
Latest Picture Not Done Much after Servicing it other than Install a New Shifter still had in my HD Parts Bin still Brand New .. Has a Bit Longer Shaft and Prefer it to the Short Shifter that was on it .. Could barely get my Number 10 Boots tucked in it to Upshift from 1st to 2nd ..
Have 1,000 Miles of my own on it now .. Over 18,000 on the Odometer .. Running Great .. Thought would revive this old thread .. 2 Years Old, 12,000 Miles, a Full Stage 2 and not one minutes trouble with it .. Very Happy with it and will most likely keep it as long as Able to Ride .. Mileage would be far Higher had not been for the Health Issues had, but that's getting far better now .. It getting close to 30,000 Miles now so will let the Indian only 12,000 catch up a bit as it still has another Full Year factory Warranty, but My Dyna has never gone over a week without some Saddle Time .. Thanks , Been Enjoyable Both Riding It as well as Making it My Own .. Doing my Best Brother ..